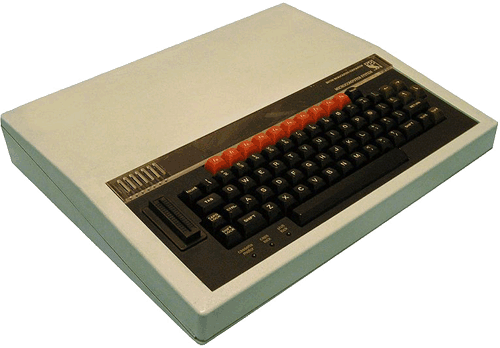 Last night, I was reminiscing with a BBC colleague about the UK micro-computer boom of the early 80s, and it struck me: like many programmers of my age, I cut my programming teeth on the BBC Micro (and also the ZX81). But unlike many, I got my BBC from the ITV. I love that whenever I write London on this blog, SEO Smart Links auto-links it to one of my favourite little blog posts. London. Like I said, I’ve been meaning to post a summary of my last 18 months. Perhaps easier if I split it into two: work, and personal. So, work: I started freelancing in the middle of 2007, and I’ve done a whole bunch of interesting jobs since then (see my CV for full details). For almost 18 months now, I’ve been meaning to blog about my “current situation” (admittedly a moving target over that period). But my blogging has gone stale: I only wrote 8 posts in 2008 – in the distant past there have been single days when I’ve almost managed this many (the period leading up to September 11 2001 seems to have been particularly fertile). But what’s even more obvious to me is that I didn’t write anything of substance in 2008, just quick status updates and links to photos I’d taken. You may have noticed, I added a “star” rating-system to the bottom of each post (even though I once wrote about the perils of star rating sytems). As you’re reading this site, I’d be grateful if you could give each article a rating (it only takes a single click) so that I can see what’s hot and what’s not. For a long time now (at least a year, but hard to say because I’ve been at home so infrequently) my home network performance has been abysmal. Today, I finally found out what was up – and I managed to fix it! I have been updating my bookmarks – some of which have been knocking around on various computers over the last decade or more. Rationalised, removed some dead wood, and tidied them up into a structure which hopefully I’ll always be able to find my way around. Clean Code: A Handbook of Agile Software Craftsmanship, by “uncle” Bob Martin & his associates , is a great book, and one which any developer will learn a great deal from. In most respects, it is a five-star book, but… the title is misleading. By rights it should be called “Clean Java Code”. I finally fixed my problem with blog comments (turns out the database was locked), and at the same time upgraded to the latest wordpress and tidied things up about around here. Next step… re-install my funky K2K design, and then actually start writing posts again. Meanwhile, you can always catch me on Twitter.